Bellissimo brings a little bit of New York loft vibe to Waterford and offers Mediterranean food, with a local twist. It combines its Italian roots from its previous incarnation with a European sensibility and has a casual approach, a bustling environment and a dedicated passion to its cuisine. Life speeds by. All the more reason to celebrate important occasions on the journey. We are confident that our venue is a great backdrop for many of these important events, be they large or small. Be our guest! Relax and enjoy the company of friends or loved one’s. Join us in our bar for pre dinner aperitif’s or after dinner drinks. Alternatively get some fresh air on our large balcony and relax. Let us take care of you! 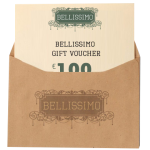 This passion is extended to a select take away menu which offers you a taste of Bellissimo in the comfort of your own home. Want to make a reservation for a Special Event ? No problem, we can seat up to 80 !